Please see the Introduction of this guide for an explanation of what this six-part series is all about, including a Table of Contents and relevant caveats. This installment picks up where we left off in Part IV and focuses on the larger models and e-liquid. 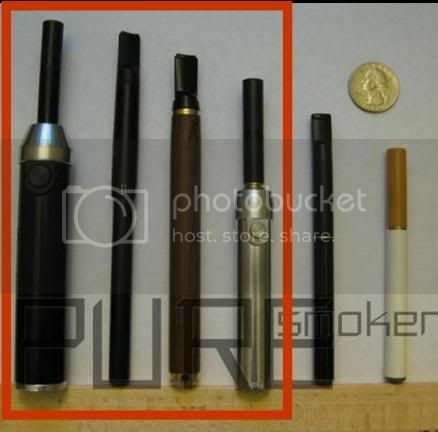 Shown in this photo (left to right) are: one of the larger Mods, a Penstyle, an E-Cigar, and one of the smaller Mods – compared to a Mini and a Super-Mini (and a quarter). 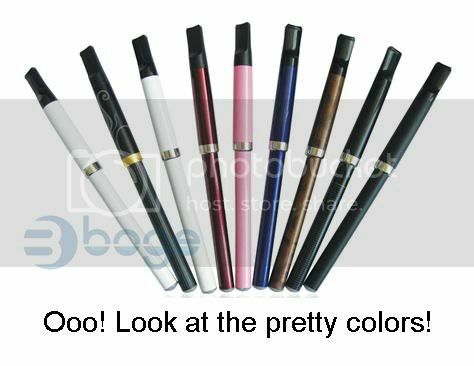 If you want more puffs per battery charge than the minis or super-minis (and equal to the Kr8), good vapor, rich flavor, and solid throat hit – and you don’t mind a long e-cig (55% longer than a 100s analog) – consider the Penstyle. Because of its right flavor and throat hit, I (and many other veteran vapers) prefer the penstyle over any other category/model. 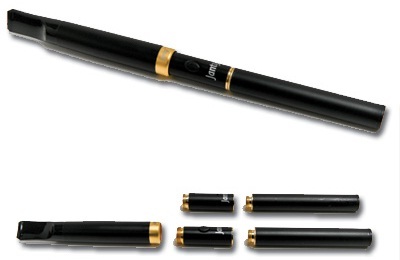 As I’ve stated elsewhere, I believe the reason there is not more buzz about the penstyle is that most vapers have never even tried it, because of the length. However, I think its long slender appearance is elegant. It looks kind of like an analog cigarette in an old-fashioned cigarette holder, such as used by FDR and Holly Golightly (although hers is much longer) … and by my avatar. The cartridges are large and can hold a lot of juice. Their atomizers are unexposed; in fact, they’re at the bottom of long tubes. With two exceptions, these all have automatic batteries. With the exception of the Janty Kissbox, all models look the same on the outside. So I’ll just show various penstyle photos in this section. The 155 mm DSE801 / RN4072: Two different manufacturers, but virtually identical and totally compatible. Like the 901, the 801 is the “tried and true.” Most current 801 atomizers are high-bridge; the 4072 atty is low-bridge (wicks better with carts). [I don’t care myself; I always drip.] Like the 901 and 510, many of the Mods are designed to work with the 801 (or compatible) atomizer. A manual 801 battery (compatible with all but the M201 penstyle atty) is available. 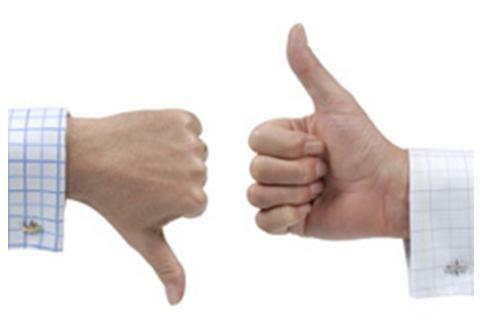 As stated previously, I don’t like its implementation. You might. I get no kick from five-ten. RN4072 suppliers include: myPVshop ($43), LuckEcig ($50), and eCigaretteShop ($50). Explore these two models further in ECF’s DSE 801 *Penstyle* and RN-4072 *Penstyle* model-specific sub-forums. 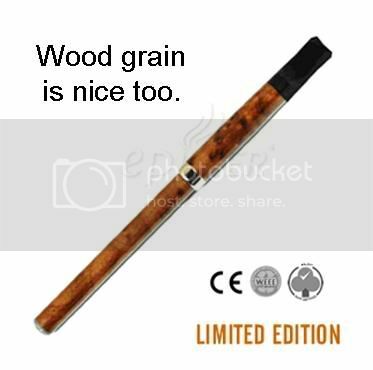 The primary supplier is BestEcig ($27) in China, the retail website for the Chinese manufacturer itself. BE112 atomizers (but not kits) are carried by these U.S. suppliers: Puresmoker , Liberty-Flights [10% discount code: VGLF10], LiteCigUSA, and ElixerLiquid. Because of the limited availability of kits, I believe many current BE112 users started with an 801 kit and purchased 112 attys later. There is no model-specific sub-forum dedicated to the BE112, but there are several posts you can search for. The first use (by western vapers, at least) of the Joye302 atomizer (not to be confused with the Joye 306 super-mini) was in the Janty Kissbox, described below. Although that product has declined in popularity, the atty’s popularity has been growing (and it continues to be sold as part of the popular Joye/Janty Stick mod). 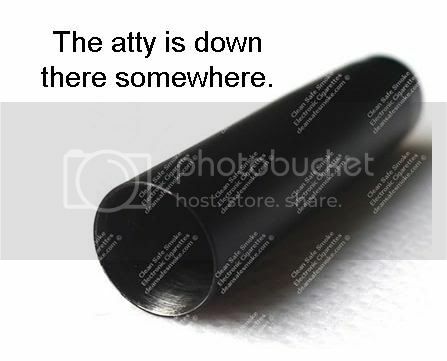 The 302 atty has two very large large holes, instead of four small ones. In the first version of this guide, I almost omitted the 302. Hadn’t heard much about it, but I stumbled on an old ECF thread about it (that has had some recent posts), which commends the Joye302 (especially for its low-bridge atomizer). Since then there have been many more forum references to the 302 and I’ve tried it myself. Until I discovered the lower resistance 801 attys, it was my favorite, providing consistent performance and good flavor, but I now am spoiled by higher watts. * It is fully compatible with the 801, 4072, and 112. There is no model-specific sub-forum dedicated to it, but there are several posts you can search for. * Hellen A. Handbasket just made me aware that HealthCabin now sells an LR 302 atomizer. I’ve not yet tried it, but (at 1.5 ohms), I suspect that it will be too powerful (9-11 watts on a 3.7V battery) for my tastes. Might be good for you. The Joye302 starter kit is available from Domestic Vapor in the U.S., Happy Vaper [10% discount code: VGHV10] in Canada, and HealthCabin and Heaven Gifts in China. In addition, 302 atomizers are sold by MyVaporStore, Ecigsupply, LiteCigUSA, dietSMOKES, Electro-Nic-Stix, and Janty (“Janty Classic Atomizer” or “Janty Classic TAWA”). I am surprised to see that the Janty Kissbox is only 123 mm (again supposedly). I always thought it was basically an 801 with a manual (or automatic) switch mechanism inserted between the atomizer and battery. As you can see from the photo below, that is correct in concept, but at 123 mm, there’s no way that is an 801-length battery. [Actually, I suspect that the Kissbox without switch mechanism may be 123 mm, resulting in a total length similar to other penstyles.] At almost twice the price of any of the above, I don’t see the point. 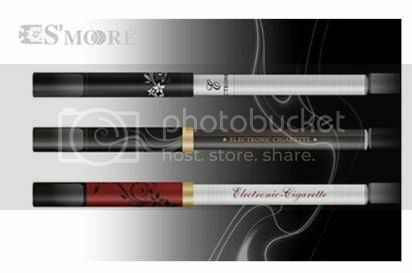 The M201 can be purchased from Beyond Technologies (best price, but only in white), LiteCigUSA, FreshSmoking (about which I know nothing), and AbsolutelyEcigs (China). Find out more in ECF’s M-201 *Penstyle* model-specific sub-forum and search for it throughout VF and ECF. As indicated by the Smoore logo, the units shown immediately above are specifically M201’s. Most units are solid color (black, white, or stainless steel). These neat-looking (and somewhat more expensive) ones are sold by FreshSmoking (without the markings on the batteries).